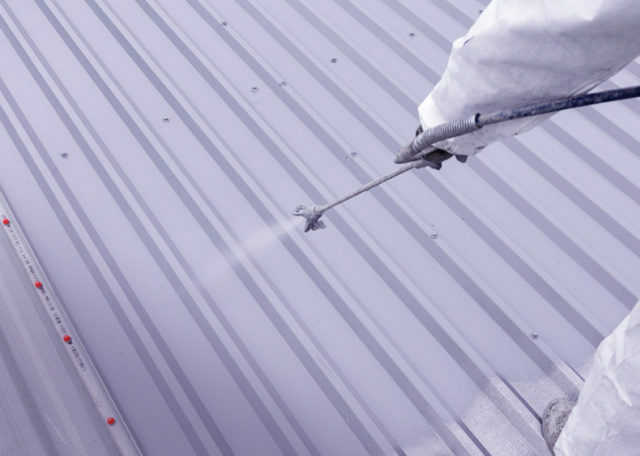 DELCOTE® is a silicone coating designed for re-coating roof and wall cladding substrate including masonry, concrete, asbestos cement, polyurethane foam and most painted or unpainted metals. Unlike profiled roofing and cladding sheets which follow a known pattern of deterioration over their life cycle, gutter condition and performance is dependent on many different factors and variable conditions. Steel gutters depend on the thickness of factory applied galvanising. All gutters’ performance depend on drainage, the contained pollutants in standing water, silt and plant growth and previously applied coatings and deterioration remains very much an unknown quantity until the gutter is cleaned out and inspected. DELCOTE® HPG is a silicone protective coating to line the gutter substrate and which incorporates SEAMSIL® to seal the gutter joint. It has excellent elastic properties to withstand normal surface movements and is unaffected by UV or extremes of weather and temperature. To find out more about how NSS can help as Giromax-approved contractors, please call us on 03459 677477.